For anyone who ever felt that Cinderella (despite the soot) was just a little too perfect, do I have the book for you. 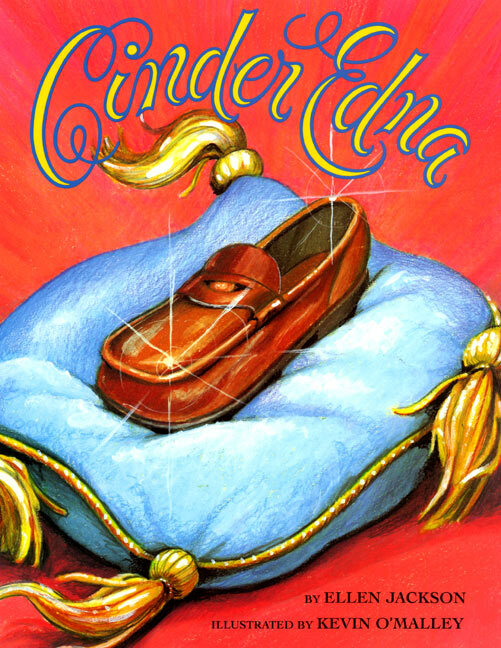 “Cinder Edna”, Ellen Jackson’s riotous retelling of the classic fairy tale, champions not the beautiful, albeit rather dim, Cinder Ella, but rather accordian-playin’, tuna casserole-makin’ Edna. Glass slippers? Not Edna. She prefers loafers which, let’s face it, are a lot easier to dance in. At the glorious ball, Ella catches the eye of Prince Rudolph (a vain, handsome and boring man) while Edna sparkles the eyes of his brother, Rupert, who runs the palace recycling plant. As you might have guessed, the clock strikes midnight and, luckily, true love ensues, as the brown penny loafer and Rupert’s soul mate are reunited. For little girls everywhere who might feel more like an Edna than an Ella, this is a wonderful tale of being yourself and finding true happiness.